Sometimes, starting a new thing can be very troublesome. Sashiko follows that principal, too. What kind of thread do I need? What is the best fabric to start with? What is even the dish-shape thimble?? We packed everything you need to start enjoying Sashiko, and complete as the coaster. 2 years ago, I had the first request from my customer. Finally, we are offering a minimal, yet fulfilling, set for Sashiko beginners. 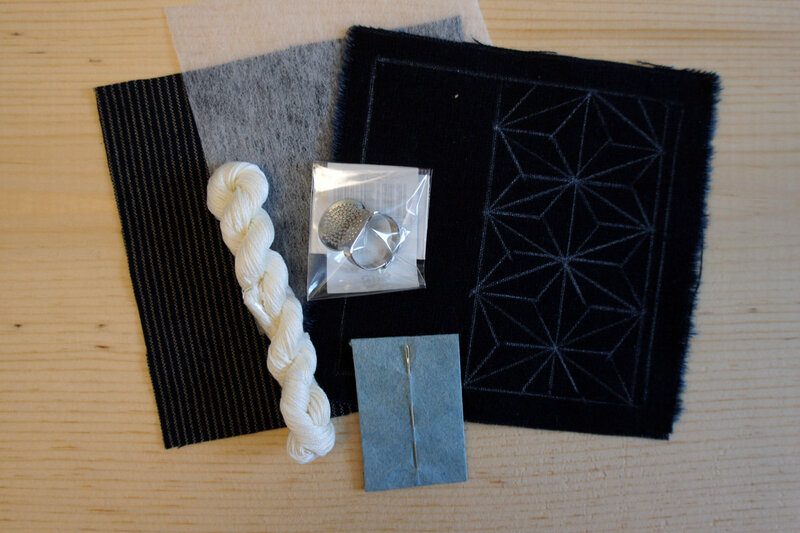 The kit has everything you need to start the Sashiko stitching on the day one you open a package. A tutorial of how to do Sashiko is already on Youtube. Now, I will make a brief tutorial how to make a coaster. (It is already on Youtube in form of Live Streaming).